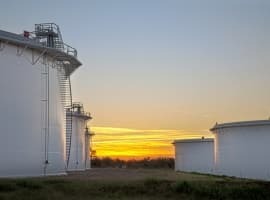 Given the rapid rise of the US shale gas market, it is not surprising that similar opportunities are being explored with gusto across the globe. Given the size of technically recoverable shale gas already identified, it would seem that a global boom is inevitable….or is it? Most things in life come with a caveat, from ice cream (calories) to fast cars ($$$). And the caveat for shale gas is that no two shale deposits are created equal. No better place is this exemplified than in the chart below, which spans the spectrum of breakeven costs. This chart is a stark reminder that North America has the cheapest global breakeven costs by far. It also highlights that even if the price of natural gas is close to $11/MMbtu – such as in the UK – shale gas may still not be a cost effective proposition. The UK is an interesting blueprint for the pursuit of shale gas as it typifies the challenges and the conundrums faced. Fracking got off to the worst possible start in the UK, with the pioneering company, Cuadrilla Resources, causing minor earthquakes in 2011 with initial shale testing. Fracking was banned in the UK for a year and a half, before the government gave approval that testing could resume – with much stricter rules in place. Given this initial bad press – not wholly unjustified by any means – the UK has been presented with both extremities of the pros and cons of fracking. For Cuadrilla says it has identified 200 Tcf of shale gas reserves (and in the last week an energy major suitor to boot). If only 10% of these reserves could be viably extracted, it would meet over 6 years of total UK natural gas consumption. For a region that has seen its North Sea natural gas production depleting at a rapid rate, this alternative option certainly presents an opportunity. 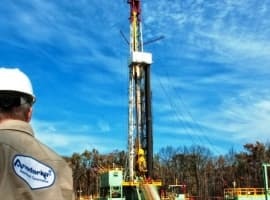 Related article: Will Gazprom Bully Its Way out of a Monopoly? 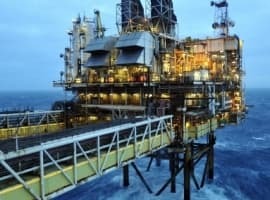 But the UK isn’t the only European country facing such dilemmas; France has banned fracking outright whilst having 180 Tcf of reserves, while Poland – the country with the largest shale gas reserves in Europe – has seen Exxon Mobil exit the country after two early gas wells failed to yield high enough quantities of natural gas. But for other regions of the world, shale gas is considered as the lesser evil….which brings us to China. In its efforts to reduce its dependency on coal, China has targeted a ramp up in shale production to increase natural gas from making up 4% of its total energy consumption to 10% by 2020. There is a good deal of skepticism, however, that this can be achieved, despite China having the largest shale gas reserves in the world (hark, 1,275 Tcf). This is because its shale deposits are in remote, mountainous regions, with a lack of infrastructure in place and at deeper levels than in the US. And these challenges exist before even addressing other hurdles such as water scarcity. 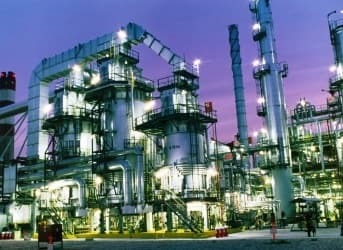 But despite the various conundrums faced across the globe, consensus is for shale gas to overcome its challenges to have a much larger influence on global energy in the coming decades. What is still unknown, however, is where these main players will come from. What I seem to notice re shale is that we seem to get something like 5 reports overselling shale to every 1 giving us a more realistic view. It would be really good is someone could give us an objective pros and cons overview of the entire story so that we can judge the validity of these reports with some backgroumd info. Meh. I'd like to see a more in-depth analysis of the breakeven costs with a timeline. BP's costs were through the roof when they shot their first horizontal in the US...but, as with all things, the technology improved and so did their skill and eventually their costs were halved. As far as China not being able to access their own reserves...just because they haven't yet doesn't mean that they can't. They're entering into deals with American companies abroad and here (Wolfcamp in West Texas, for example) to acquire the knowledge and technology. A learning curve, sure...but didn't China's oil industry grow up doing what others said couldn't be done in these "remote, mountainous regions"?? The real catch in shale fishing will be to bring in the oil shale....gas is nice but won't fly your plane. In North America there are 6-10 trillion bbls of oil in the shale and the only way to produce it without destroying the environment is in-situ RF. Developed at Illinois Institute of Technology Research Institute.